Banana Ice Cream with Oat Crumble Topping - Your process has a purpose. This low-fat, sugar-free dessert of banana ice cream with oat crumble topping will leave you satisfied & happy. It's the perfect treat for an ice cream craving at any time of the year. Heat up a tablespoon of coconut oil in a skillet over medium heat. Add the rolled oats, honey/maple syrup, cinnamon, and salt. Keep on heat until oats start to turn golden brown. In a food processor, blend the frozen banana till it forms the consistency of soft-serve ice cream. 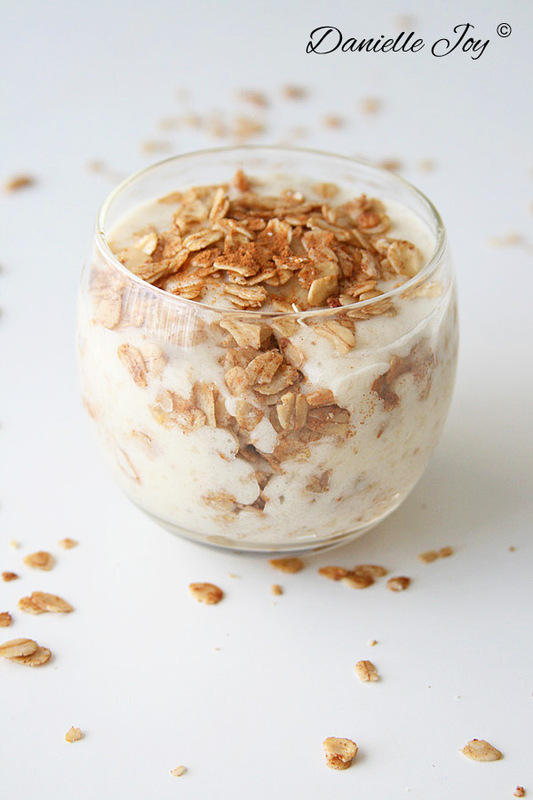 Place banana ice cream in a bowl and top with the oat crumble topping. Eat with a small spoon so you can savor every little bite!